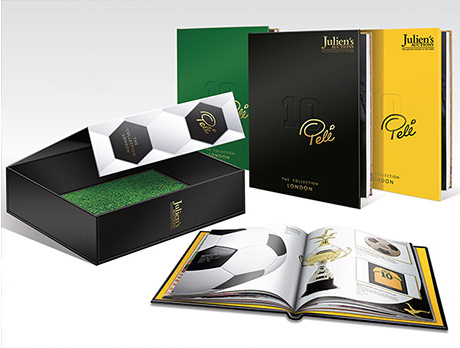 Julien’s Auctions, the world record breaking auction house to the stars, has announced what many believe to be the most important sports auction in history — Pelé: THE COLLECTION. The three-time World Cup Champion, FIFA Player of the Century and Brazilian Football icon will offer his vast collection of memorabilia, awards, personal property and iconic items from his entire career for the first time ever. The collection which includes over 2,000 items will be featured in a three-day auction in London through Julien’s Auctions. Pelé is considered to be the most important football player of all time and has often been referred to as “Soccer’s National Treasure.” The three-time World Cup Champion, FIFA Player of the Century (1999) and Brazilian Football legend became a superstar with his performance in the 1958 World Cup. He holds the record as the youngest player to ever play in, and score in, a World Cup Final and holds the Guinness World Record for goals scored in a career with 1,283. 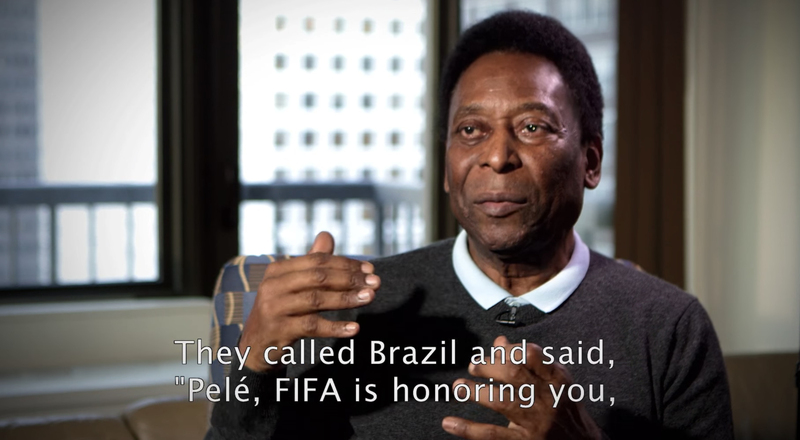 Pelé: The Collection is unprecedented and extraordinary. It covers every stage of his career — both personal and professional. The collection offers a story of sorts from his signing with Santos FC in 1956 at the age of 15 all the way through his post-career humanitarian efforts and being named Santos FC’s Lifetime Global Ambassador for the club in December 2014. Investors, collectors, fans and sports aficionados alike will now have the very rare chance to bid on items from the collection which includes highlights such as Pele’s Jules Rimet Trophy, and Pelé’s 1958, 1962 and 1970 World Cup Medals. Other highlights will include his Santos FC game worn jerseys and boots, numerous awards Pelé received while playing with Santos FC, game worn jerseys and boots from Pelé’s appearances with the Brazil National Football Team, Pelé’s 1977 New York Cosmos NASL championship ring, his FIFA Player of the Century Award, Pelé’s L’Equipe Athlete of the Century Award, his 2007 FIFA President’s Award and the torch used by Pelé when he ran in the 2004 Summer Olympics Torch Relay. One of the items surely to draw the most attention in the auction is the actual ball that Pelé used to score his 1,000th career goal. On November 19, 1969 at the Maracanã Stadium in Rio De Janeiro, Brazil, Pelé’s Santos FC team played a match against rival Vasco da Gama. With 12:00 minutes remaining, Pelé drew a foul and was awarded a penalty kick. Stating afterward that "For the first time in my career, I felt really nervous," at 11:11 p.m. on November 19, 1969, Pelé would score his 1,000th career goal on the penalty kick. After scoring the goal, Pelé raced into the back of the net to retrieve the ball. It is that very ball that will be included in this historic auction. All of the property in the auction will be featured in a full color limited edition catalog available for purchase at www.juliensauctions.com for $300 USD. A limited number of 500 special edition collectors box sets will be signed by Pelé for the price of $1,000 each with proceeds benefiting Pele’s Children’s Hospital, Pequeno Príncipe.